The limited time promotion will run for approximately two weeks and will apply to select Surface Book SKUs with Nvidia GeForce GPUs. 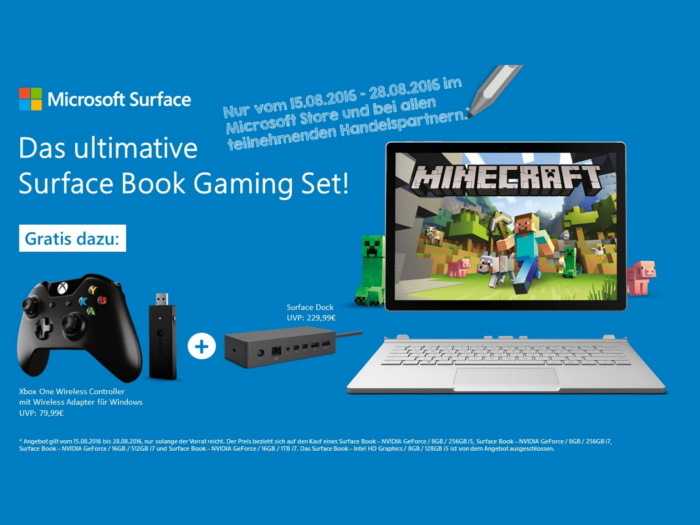 Gamescom 2016 is just around the corner and Microsoft is already jumping in with offers and bundles to attract the gaming crowd. From August 15th to the 28th, customers who purchase a new Surface Book will also receive the Surface Dock and an Xbox One wireless controller for free. Together, both extras retail for about 200 Euros or more depending on the region. The promotion applies to participating Microsoft Stores and retailer partners. Note that the cheapest Surface Book configuration with the Core i5, integrated HD Graphics, 8 GB RAM, and 128 GB SSD is excluded from this promotion. Thus, users must opt in for the costlier configurations if they wish to get the bundled extras. 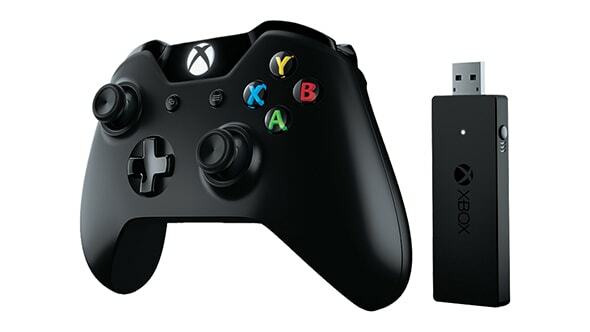 Aside from also being compatible with the Xbox One console itself, the wireless controller will work with both Games for Windows and Xbox streaming. It's clear that the Redmond company is encouraging gamers to use their Windows 10 platforms as gaming machines in conjunction with their Xbox consoles.